Bratislava is changing. These changes are visible not only to its inhabitants but also to visitors walking through the city. 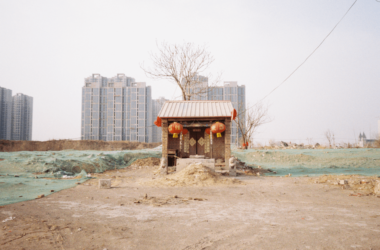 What is really hidden, however, behind the bright, shining slogans, or the river banks lined with glass buildings and pictures of happy families and golden retrievers, that are supposed to attract people to a newly built area? I usually return to Bratislava every two months or so, to see my family and friends. I walk through the city, observing it. I am intrigued by the new image of Štúrová Street which has finally become accessible after two years of renovation. I am perplexed by the changes in the public transportation system, which becomes more complicated with every visit. A journey only nine kilometres long may now take more than an hour to complete. I am fascinated by bizarre architectural elements which are present in public spaces, such as columns in the middle of a bike path, and I can’t help noticing that the places where we used to attend concerts are simply disappearing. Over the past few decades, we have seen many places disappear and transform, or take on new roles, most prominently in American or British cities, but also in cities as close as Prague or Berlin. These redevelopment programs, which are meant to renew and revitalize the city, are often undertaken in order to ‘clean-up’ an area. At first glance, such redevelopment projects seem alluring and the later effects are not immediately visible. In Bratislava, gentrification usually starts with the aim of revitalizing a specific area and has become more common since the Velvet revolution and the introduction of a market economy. In practice, gentrification in one area soon affects others. Projects intended to revitalize the city, and to transform it by bulldozing areas that are run-down and undesirable, often succumb to the impulse to follow the predictable trends of gentrification. The attempt to introduce something creative and new to such areas is often accompanied by enthusiastic claims of improved vitality and life. The construction of gardens in city centres, where people can gather and create a sense of community, alongside providing space for market places, workshops, and cafés, in such redevelopment plans is initially motivated by the knowledge that such activities improve human relationships. However, this is a world seen through rose-tinted glasses. This is so for Bratislava, albeit to a lesser extent than in other cities. A common understanding of gentrification recognizes the connection between the construction of new or modern housing in certain urban areas and suburbs and a gradual, radical change in the characteristics of that area as a result of an influx of new capital. This is not only because of money, however. Typically, gentrified areas are situated largely in central parts of the city, and along the rivers, areas which were originally were designed for industrial development. In Bratislava, the Cvernovka factory, which produced sewing thread, might be an excellent example of the process of gentrification. For a long time the Cvernovka industrial site had been deteriorating, making it an interesting, economically accessible and attractive place for artists. As a result, creative capital was brought to the area preserving a specific character in the process of revitalization which had started years before. Creative people occupied an abandoned and deteriorating area and encouraged further development in nearby areas, such as Dulovo square and Mlynské Nivy. This trend, however, has not ended happily. The problem (at the Cvernovka factory, and elsewhere) is closely related to property issues and changing economic circumstances, based largely on the attractiveness of the place for investment, and it is usually only a matter of time before the force of gentrification takes over. This is inevitably linked to the interest of developers in the area which forces those who had initially created the value of the area to leave. The transformation of the Cvernovka area and other places of creative development, such as market places or courtyards here communities come together, are only a part of the story. A more serious effect of the gentrification process is the loss of affordable housing. People living in close proximity to attractive areas are unable to afford higher rents and are forced to leave. This problem affects not only those already living in the area but also future residents. Currently, the YIT Slovakia, a real-estate development company, is preparing to build the first building to be situated on the Cvernovka site. The former lodging house in Páričkova Street is destined to become a residential estate of 88 flats. However, the question remains; for whom is such housing designed, and what other changes will happen in the area surrounding Dulovo square? In cities, where gentrification processes are more visible, we can see that, despite the efforts of the new urban developers to create people-friendly neighborhoods, their projects only result in substantial demographic shifts. In the attempt to create mixed-use spaces developers may bring together various age and ethnic groups, but fail to include different income groups. We must ask ourselves who is responsible and what the solutions to the situation may be. In my opinion, we should not send hipsters into exile and sweep away initiatives such as Dobrý trh (Dobrý trh is a local, alternative pop-up market which appears in various locations showcasing a range of vendors and artists). 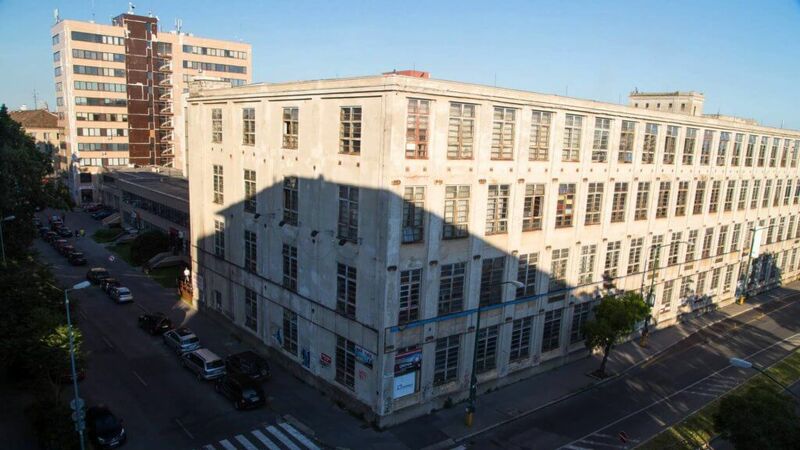 Unfortunately, in this case, the threads of influence produced in the former Cvernovka factory are not pulled by the artists who occupied the factory years ago; responsibility lies with property developers and politicians. Nevertheless, this does not mean that theirs is the only significant influence. Gentrification results from misconceived attempts to develop the city. These processes are inextricably interconnected. Achieving the right balance between private and public property that would help the city to maintain diversity without deepening social and spatial stratification could be he only path towards curbing the elitist tendency of gentrification. Barbora Bírová is a social anthropologist and a PhD candidate at Charles University in Prague. Beijing: what do you see when you look out the window?